Most manga artists start out designing and drawing in a medium they feel most confident with. However, as your art progresses and you want to expand your experience more, you might want to look for new tools to use to grow your portfolio. If you are looking to take your artwork to the next level, you might want to consider using a digital media platform to create your manga with. There are some well-designed programs that have been created to help you create artwork digitally. Need to go back to old-school art? Get some paper and markers. You may also want to try other types of pens like Japanese brush pens, Japanese fountain pens, and Japanese calligraphy pens. Adobe Photoshop has to be one of the most popular programs on the market, specifically for drawing and painting digitally. The program offers all the high-quality tools you would need to create incredible manga and anime styled work. If you have invested in a graphics tablet, you can sketch directly into the program, so you can still practice the art of drawing, but capturing it digitally from start to finish. If you are more a fan of sketching on paper, you can actually do so and scan the sketch to Adobe Photoshop. You can then use some of the many photo editing features to clean and create a usable sketch. To add color to your sketches, you can use a brush tool when utilizing a graphics tablet, or the Pen Tool for raster and vector media, which has perfect precision, even when using a mouse. The Pen Tool leaves the artwork with crisp and clean edges, as well as perfect shading. There is a wide range of different textured and shaped brushes, so you can alternate or choose between various painting and coloring techniques. You even have access to custom made brushes on the web, which have been created by other Photoshop users. Adobe Photoshop is a complete and reliable program which will cater to your many artistic needs. This program is popular for manga, not only is it inexpensive, but it is Japanese made. Because of its origins, it understands the craft of creating manga and therefore caters to it perfectly. It is a smooth running light program that is really easy to navigate around and has pretty much everything you will need when creating manga artwork. PaintTool, as expected by its name, was created primarily as a painting program. The program has many different brush sizes, all varying in shape and texture as well. You have the ability to create older and more traditional art styles as well, with watercolor and marker pen features. If you are looking for something else, you are also able to download custom brushes from the web. The line work and crisp art created with PaintTool makes it a front runner in this category. The layer tool also allows you to create artwork with sharp edges, with editable lines without using the eraser tool. You are able to test out the SYSTEMAX PaintTool using a 30-day free trial, to see if it is what you need. Sometimes, it does pay off to go with the obvious choice. Smith Macro Manga Studio was created for those wanting to do manga. It is the perfect go-to program for people wanting to create pieces of manga and anime, while still maintaining a professional touch. The program contains vector capabilities that allow for line work and a wide range of genre-specific color swatches, additional screen tones and intelligent rules to help with the layout of 3D characters, with posing and their anatomical design. It really is the do-all program for manga artists. You are able to use this program with a graphics tablet, as it has pen pressure sensitivity, and comes already designed with digital pens. It mimics the traditional pens used by manga artists. You are also able to customize preset brushes, making them suit you and your style. For focusing on manga, this really is one of the better options. Not only does it offer you what you need to create stunning artwork, but it will also help guide you with the design of your scenes and characters, what more could you ask for in a program? openCanvas is very popular for manga and anime artists. It is a digital drawing and painting program that is available in both Japanese and English. The program has various brushes, such as a raster-based Pen Tool, a watercolor brush set, and marker pen brushes. OpenCanvas offers a really large range of tools for digital inking, as well as utilizing the layering system which helps make editing a breeze. The interface is user-friendly and it is easy to navigate through the menus and thumbnail panels. There are different tones, patterns, and paper textures to choose from, as well as editable brushes, which give you a complete and unique look. The program has a very useful event log, helping you track and view your progress. It is a program that is well-rounded and caters to the needs of manga users from start to finish. Its intuitive hardware is perfect for this style of work. Coral Painter is a well-known program that is trusted by many. It is primarily a painting program, and is popular for its large selection of brushes, being both regular digital brushes and brushes that mimic traditional media, such as chalk, watercolor, oil paints, colored pencils, marker pens, and pastels. There are also several different paper textures to choose from, all which complement specific brushes, which land up giving a traditional feel to each painting but just doing so digitally. Corel is popular among artists who have started out digitally but look to make their pieces more traditional looking. Corel Painter also includes a range of different brushes that actually give a more digital look to artwork, as well as giving you the option to use precise pen pressure sensitivity on your graphics tablet. Corel Painter is a powerful program; it has many different tools and textures, both mimicking traditional and digital art, which will help you to create manga styled work with ease. Comic Life has a very intuitive interface that is great for beginners. The program itself is available to be used on Windows, Mac, and IOS. While it may seem like a simple program at first, it has a range of different features, including preset tables that will help you gather up ideas to use in your own work. The program has many different commands, with collages and cartoon drag and drop options which all make it easy to create manga. You can test the program out using its 30-day free trial, to test out if it is what you need. The multifunctional tool gives you the freedom to create manga with free rein. You can customize your own colors and it even lets you edit digital hand drawings in post-production. As it is a free program, you shouldn’t expect it to have all the bells and whistles of some other digital drawing software. However, it is a great place to start for beginners who are testing out digital manga drawing. While Manga Studio Debut is created specifically for creating manga, it isn’t all that easy to use and is better suited for professionals or those with vast experience in digital drawing and editing. It is packed with full functionality and can be used across several devices, using a mouse or graphics tablet. For those not wanting to dive in head first, there is a 30-day free trial to test it out, to see if it is the program you want. After a while, you should get the hang of the program, and its complete ability to create some incredible manga. 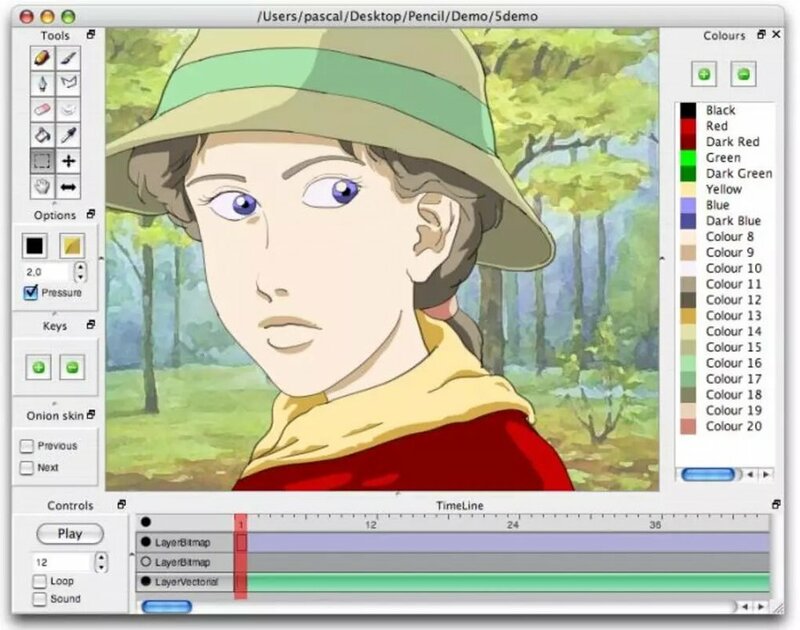 Pencil2D is another free program that allows you to create comics and manga. It was first developed as a simple drawing tool but has been upgraded over time to support animations and other features. It is an easy to use program, even easier than most paid programs available. However, it does not have all the extra tools and functions of paid programs. What it does have is the ability to digitize and improve sketches and hand-drawings. It is a great start off for beginners in manga creation. This is an easy to use program that is simple and enjoyable to use. It has many different helpful features, with layers and adjustable opacity. What makes this site and program helpful is the content of video tutorials in English that explain how to perform various operations and how to use RealWorld Paint. The videos are full of helpful tips and tricks for creating comics and manga, including the useful addition of layers. It would be most suited to newcomers in the manga artistry and helps guide them along the creation of the art form. MyPaint was not created primarily for the creation of manga and comics, but it is free and can be a great tool for newcomers wanting to make manga artwork. You are able to use the program to further elaborate hand-made drawings or even to create digital drawings from scratch, using the large range of functions, features, and tools. The program is supported by many different operating systems, including Windows, Mac OS X, and even Linux. Before heading off to purchase a paid-for program, try out MyPaint to see if digital manga creation is for you, and how quickly you get the hang of it all. 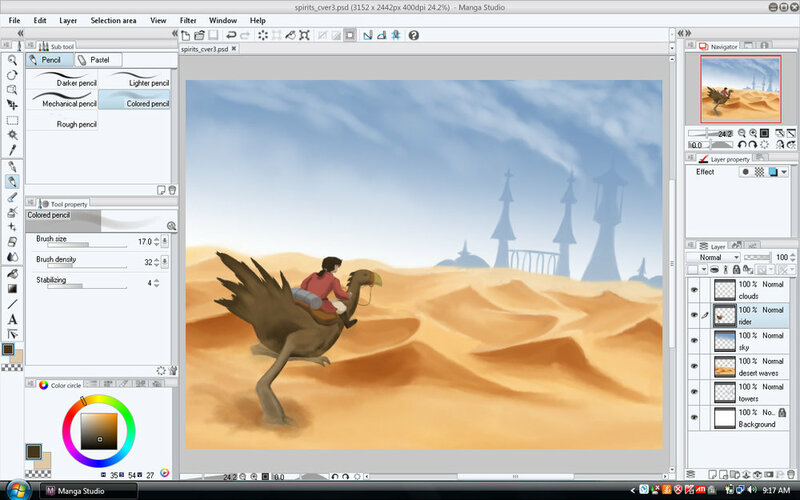 Another free and open source software, Krita was created for computer graphics. The prepackaged model comes complete with very advanced tools for drawing and creating manga, all of which are customizable. It is available on both Windows and Linux. It is a great program for those starting out, as it is free and fairly easy to use. You can switch between the predesigned tools, or customize them to suit your style. After using it for a while, you will find the creation of artwork much easier, and you will be able to create comics that are true to your own style. Pixton is a web-based program that is available to create comics. It is fairly quick and easy to use and is a real winner for inexperienced people who are looking to learn how to use the different tools, functions, strokes, and designs involved in manga creation. The program has different details, colors, and length of manga stories, all of which can be set by the user. The different characters and settings are all grouped by themes, making it really easy to be used. The registration to Pixton is free and fast and can be used by experienced artists or beginners. It can be used across different platforms and is perfect for students who don’t use the same computer to create their artwork. It can be created online and does not have to be on a PC with special software. Everything is going towards being digitalized nowadays. To keep up with the market and demand, it might be worth taking your artwork digital as well. There are great programs that are either downloadable or accessible through the internet, which make creating manga so much easier. The tools and functions give you capabilities that you would not have when only using a pen and paper, giving you the power to do so much more. If you are serious about taking your artwork digital, you might want to look at investing in a graphics tablet. A lot of the software available has pen pressure sensitivity, which allows you to hand sketch artwork directly to the program, from there you are able to edit and color the sketch to achieve an end result. There is so much possibility out there, so test out the waters and find the manga creation program that is perfect for you, and which helps you stay true to your personal style.